Today's red post collection includes new emotes now available, this week's Ask Riot, covering adaptive damage, Yasuo's language, the longest game ever, & more! With Zoe now live for a week, her BE price in the store has been reduced to 6300! "New emotes are here! 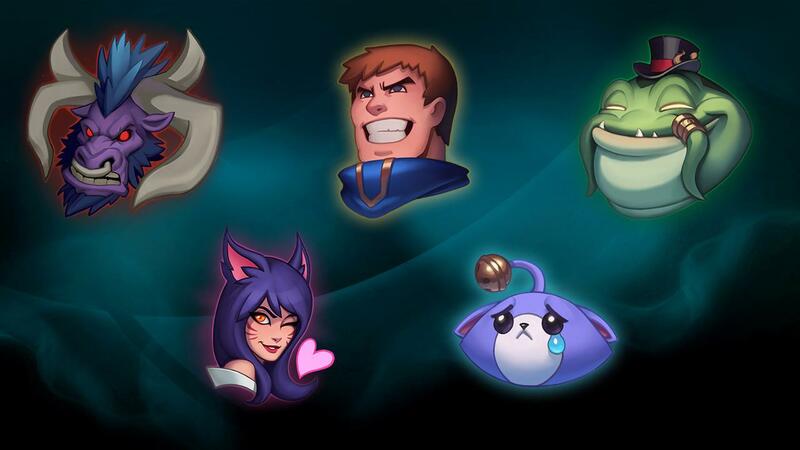 Let ‘em know how you really feel with Charmed, Justice Garen-teed, Unbenched, You Get the Horns, and Sad Kitten for 450 RP each. In case you missed it: Read more information on unlocking, equipping, and using emotes here." "Let’s talk about adaptive damage, what language Yasuo speaks, and the longest game of League on record. How is adaptive damage calculated? Adaptive Damage, similar to Adaptive AP/AD, is based on your item purchases. If your items give you more Attack Damage than Ability Power, Adaptive Damage will be Physical. If the opposite is true, then Adaptive Damage will be Magic. In case of a tie, each champion has a default they will go to based on what that champion usually prefers. What language does Yasuo speak when he uses his skills? When we wrote Yasuo, we referred to his combat utterances as an “ancient Ionian dialect,” which was a canonical way of justifying his faux-Asian vernacular. (He wasn’t the first one to speak an ancient Ionian dialect, by the way—listen carefully to Karma when she casts Mantra.) The practical truth is that we chose not to connect Yasuo’s ability grunts to any existing culture on Earth, since doing so would a) break the fiction of Runeterra and b) make localization tough for every region that has to translate them into equally distinct and memorable phrases in its native language. Yasuo’s co-writer ManWolfAxeBoss lived in Japan and speaks fluent Japanese, so we asked him to write lines for Yasuo to shout during high moments that would evoke the power and emotion of a samurai flick—but without any actual Japanese words. (Just a typical example of the fun and absurd challenges we can face when writing for League of Legends.) Given how legendary the cry “hasegi!” has become within the League community, I think he did an amazing job. Some things never dull! I recently came off an exceptionally long game (over an hour of gameplay). Now I terribly want to know: what was the longest match in league history? Oh, there’s a couple of ways of looking at this one! We can do longest esport game as well as longest ranked solo queue game across all servers (in the last 12 months). For esports, there was a 90+ minute game (91:23) between Hong Kong Attitude and AHQ e-Sports Club in 2013. Another notable runner-up is Worlds 2014, where Fnatic vs. OMG stretched to nearly 72 minutes. For games a little closer to home, the longest ranked solo queue game this year actually happened less than two weeks ago in Oceania. The match lasted 2:42:28. Yeah. A final gold difference of only 10k. Veigar aiming for 3000 AP (sadly, he didn’t get there). Nidalee telling the enemy team (at 50 minutes) that if they’d just focus on pushing or grouping, the game would end in 15 minutes. Graves happily saying, “I think this is the longest ranked I’ve ever seen xD!” at 53 minutes. Joke’s on you Graves—it’s the longest ranked game, like ever. A runner-up game in NA squeaked in under 2 hours at 1:56:59. However, unlike that OCE game, this game ended with a whopping 74k gold difference and a 120/12/12 Kindred. Yowza. Thanks to Riot Peaches for digging out the game data! Hey Mudinthewater. I chose this model after some thought, though it was a close call. Ultimately what is in game right now is as follows: There is one moment to Black Shield Zoe's Sleep, and that is when the target would be hit by the missile/trap and become Drowsy. 1) This model offers the most play for both parties: Morgana has the ability to Black Shield the Drowsy, but she has to use her Black Shield in response to the spell cast itself, which might be a waste if she or her ally dodge. 2) The alternative of Black Shielding Drowsy, having your Black Shield break and watching your ally fall asleep seemed problematic for other reasons -- the Morgana player would be punished for doing what seems optimal (reacting quickly and exercising good judgment about their ally's dodging capabilities). 3) This is most consistent with how Black Shield works elsewhere. Here is where we came to different conclusions. 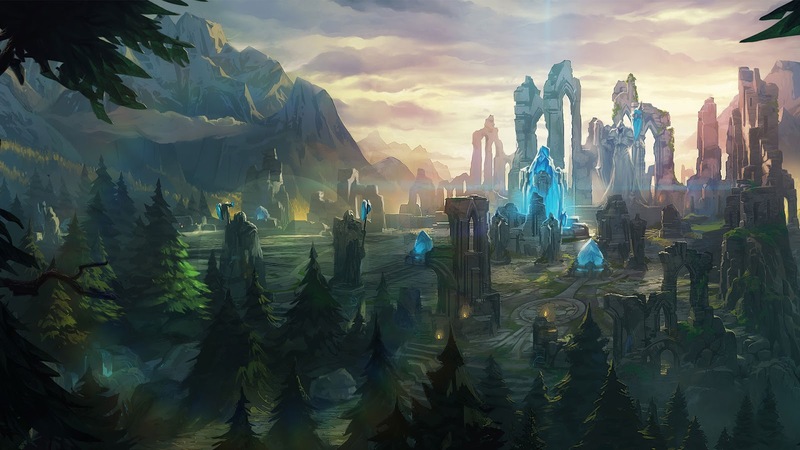 You have chosen a number of delayed CCs that have conditionals on them (of course Black Shielding with 3 stack Braum P mark on you blocks the follow on stun, we haven't initiated the stun sequence yet). There aren't a huge amount of true multistage CCs in League. I used Nasus W (a progressive slow, which Morg E does not stop from progressing) and Malphite/Vi R (Knock Ups with follow on Stuns after the target lands which is not prevented by Black Shield). 4) This is most consistent with how Black Shield has been re-shaped on over time -- the spell was originally developed as a Cleanse + CC immunity but we preferred the anticipatory play model over the purely reactive one. I am always open to revisiting these things, especially on very close calls like this. It would be better to focus the discussion on what generates better gameplay, since there is no "right answer" in terms of how the game functions elsewhere. "Happy Thanksgiving! This week on the Summoner Showcase we’ve got food, food, and more food! Chef LuBu makes Battle Bunny Carrots, a smorgasbord of food-related cosplay, and lots of League cakes and cupcakes! So much food! Eat!"